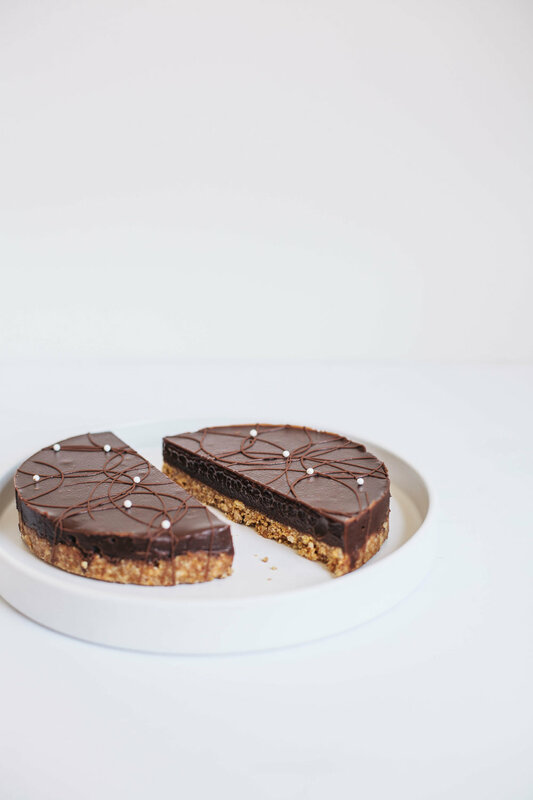 Milk Chocolate & Almond Tart — always with butter. 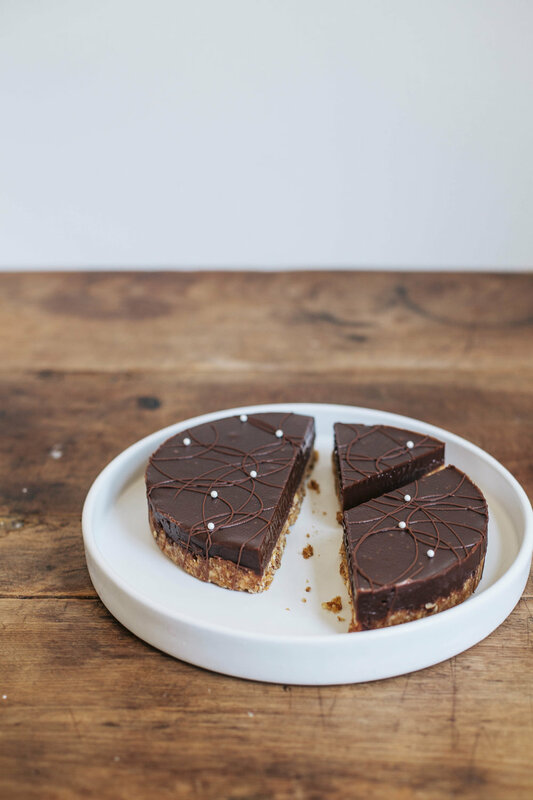 milk chocolate & almond tart. Another Maja Vase recipe, just as supremely tasty as the first. Her original recipe called for caramelized white valrhona chocolate and peanuts instead of almonds. While caramelized white chocolate would be absolutely divine in this and my favorite type of chocolate, I had milk chocolate on hand and didn't want to go out and spend more money. So it became a milk chocolate almond tart out of raiding my own cupboard necessity. This tart was very easy to make but tastes like it was straight out of a high end patisserie. This time Charlie wasn't as inquisitive about the tart but more about the photos afterward. He sits right next to my computer watching the cursor move round and round and seeing the images change. Literally blocking half my screen but he loves it so much I just work around him. Whilst Christmas is sleeping on top of the pajamas I left on the floor. The kitties definitely have the power in this apartment. Line a 6x3 inch cake pan with parchment paper, bottom and sides. Set aside. Chop peanuts roughly. Melt the sugar in a saucepan over medium heat until golden caramel and quickly stir in the chopped almonds. Pour the mass onto a silpat lined baking sheet and let cool completely. Blend half till the consistency of flour and chop the rest roughly. Melt butter in a small saucepan and mix it with the almond flour and coarse almonds. Pour into prepared pan and push down to form a even base. Let chill in fridge while making the ganache. Chop the chocolate roughly and place in a large bowl. Bring cream and glucose to the boiling point in a small saucepan. Pour it over the chocolate. Stir until the ganache comes together and gets a beautiful glossy surface. Season with salt. Pour of the nut pastry base and let chill over night. Remove the tart from the pan and peel away from the parchment. Place on a serving plate. Drizzle in a pattern with chocolate and top with pearls. Sprinkle with flaky salt right before serving.